Local Suicide sent Your Mom a souvenir set from their Tel Aviv tour for the end of 2012, let the sunny vibes in through your ears for this winter month of January. 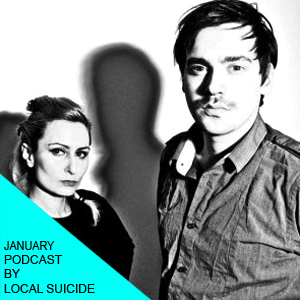 After a few Munich, Hamburg, Thessaloniki and Berlin gigs early 2013, Local Suicide will be celebrating their 3rd anniversary in February at Tausend, Berlin, more info soon. Book Local Suicide worldwide for DJ sets HERE.